Jeffrey Waters concentrates his practice on drafting and prosecuting patents for mechanical and electrical innovations. In particular, he has experience with patent issues relating to GPS, Internet and e-commerce, semiconductor devices and processing methods, and telecommunications. While Jeff’s practice focuses on patent drafting and prosecution, he also has experience with patent litigation, having defended multiple patent infringement lawsuits. 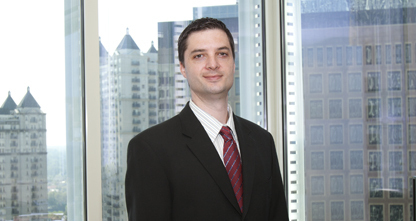 Jeff also has experience in conducting due diligence investigations and drafting opinions.